One Less Nemesis Blog: Last Day to Save! 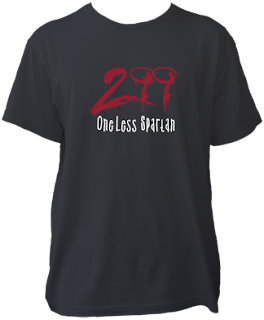 Today is the last day to save $3 on the newly available 299 One Less Spartan shirt! Order today! 299 One Less Spartan Now Available!